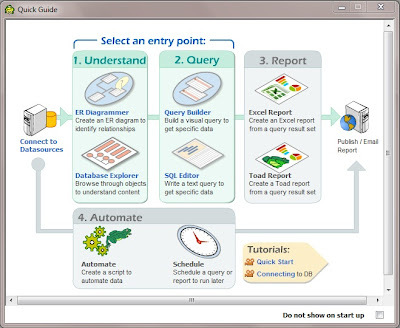 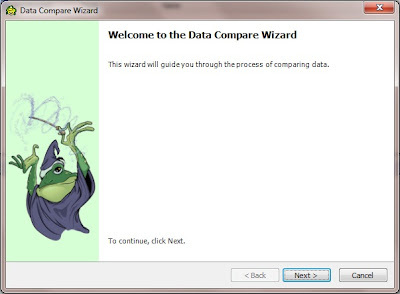 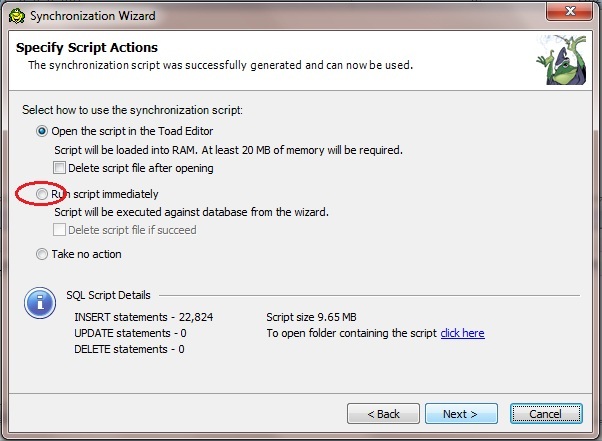 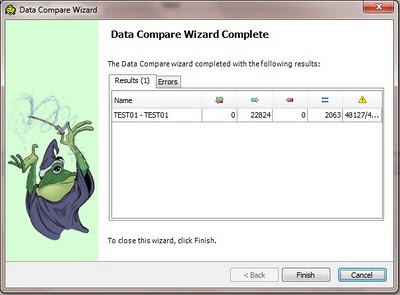 Toad® for Data Analysts is a great tool from Quest Software. It's helpful to query and report on data; check features and benefits and download trial. 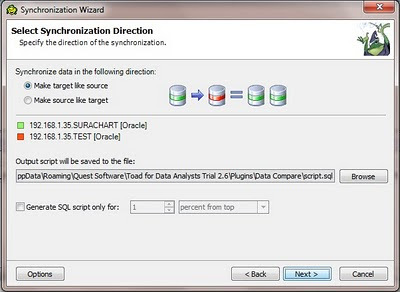 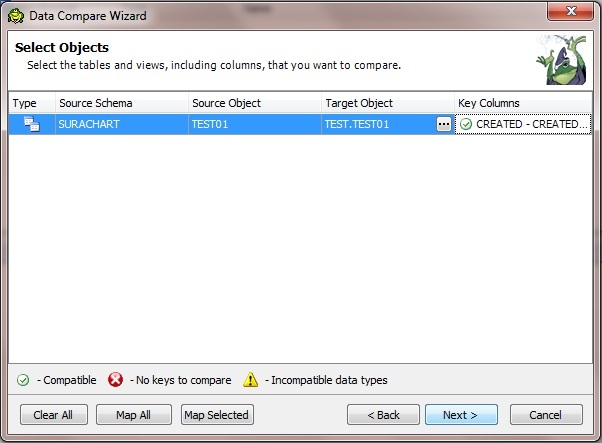 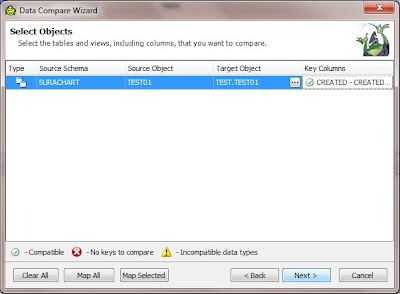 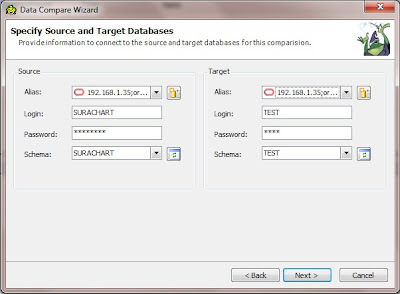 after compare then synchronize by using Wizard. we can sync data source -> target or target -> source. 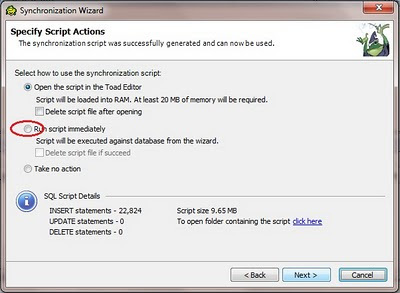 then generate script -> open script file, run or no action. 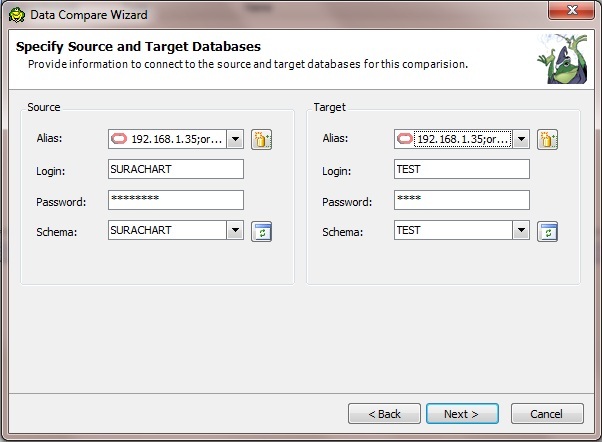 we can compare and synchronize different databases.